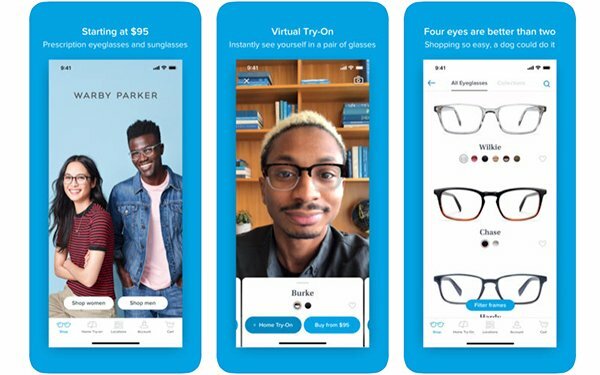 Warby Parker has added a virtual glasses try-on feature to its iPhone mobile app. The glasses maker traditionally has allowed the testing of up to five frames at home for free over a five-day period. The new AR feature in the app allows shoppers with an iPhone X or higher to use their phone camera to see what glasses would look like on them. The system uses the front camera and Apple’s face-mapping technology, tapping into Apple’s ARKit and TrueDepth camera technology. Warby Parker created a video to demonstrate how the AR feature works. The company still offers the mail service for five frames to try for free.